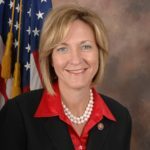 Ohio Democratic governor candidate Betty Sutton called on the legislature Wednesday to enact an emergency measure requiring the Ohio Department of Education to take responsibility for evaluating and verifying the accuracy of all components of any charter school’s application to be designated a dropout prevention and recovery school, including the Electronic Classroom of Tomorrow (ECOT). Under Sutton’s measure, a press release announced, the legislature would also establish clear standards for the dropout prevention and recovery school designation, including setting a firm percentage of students who must be at-risk and what constitutes an at-risk student. Sutton said the legislation is necessary because ECOT and the school’s sponsor are about to perpetrate another multi-million dollar scam on Ohioans. Sutton said the state legislature needs to act now. News reports cite a loophole in state law that allows failing sham schools like ECOT to reclassify as a dropout and recovery school by its sponsor and continue to bilk taxpayer money, Sutton’s release said. State law is so lax that the incentives for failing charters is ripe for abuse and allows the charter’s sponsoring agency to have a clear and enormous financial conflict of interest with the schools it oversees, it added. ECOT continues to use every loophole, every trick, and call in every favor it can to continue siphoning money meant to educate Ohio’s children for the gain of a handful of politically connected founders, she said. “This sham ECOT school is no longer an experiment, it’s a failure,” Sutton asserted. This issue has come full circle since Sutton spoke out about it nearly two decades ago, the release noted. As a state legislator in the 1990’s, Sutton warned of the potential for abuse by unaccountable charter schools, it said. In 1999 Sutton opposed the reckless expansion of the schools into Ohio’s 21 urban school districts citing concerns over the lack of local oversight and some of the schools’ failure to comply with regulations. Sutton’s release also included background on the problematic history of ECOT, including recent news reports. Cleveland.com reported that “the Ohio Department of Education gave the the Electronic Classroom of Tomorrow (ECOT) initial approval for the switch Monday, accepting the school and sponsor’s claim that the majority of its students are in need of a special program for at-risk students. In a recent dispatch.com news article, “State board won’t check if all ECOT claims are accurate,” both the Department of Education and ECOT’s sponsor, ESC Lake Erie West, claim the other has the responsibility for determining ECOT’s eligibility for the dropout prevention and recovery school designation. Both claim they don’t have access to the necessary data about ECOT’s student body to determine how many students are at least a year behind or have experienced a crisis that interfered with their schooling. More students drop out of the ECOT or fail to finish high school within four years than at any other school in the country. The school choice director, David Hansen, at the Ohio Department of Education scrubbed failing grades for ECOT out of chart school evaluations to help cover up ECOT’s failures to educate students. ECOT wants to keep money flowing by converting to a drop out and recovery school – a designation with even less oversight.